We are proud to bring you this exclusive version of our "Sure Cuts A Lot" software which is compatible with the Sizzix eclips! Newly redesigned eclips2 DIY Electronic Cutter built for speed, reduced noise, efficiency, precision cutting and more. Easily buy and download digital shapes for "Sure Cuts A Lot" & "eCAL" software from the eshape Store. Go mobile with apps for Apple iPad and Android tablets. See Sure Cuts A Lot in action by Scrapbook Corner (Die Cut Dan). See Upcoming Show Schedule. See Sure Cuts A Lot in action by Create & Craft. See Upcoming Show Schedule. Enter the SCAL Crafting Challenge with a chance to win great prizes! Thank you for a product that works as advertised and service that responds to the customer. I'll be recommending to my scrapping buddies! Available for Windows, Mac OSX, Apple iPad & Android! "Sure Cuts A Lot" is an easy to use software to cut virtually any shape with electronic cutting machines, vinyl cutters and plotters. Cut TrueType fonts, SVG files, images, & even draw your own shapes giving you endless possibilities! We offer programs that work with Sizzix eclips™, Craftwell eCraft™, Black Cat Cougar/Lynx™, BossKut Gazelle™, Brother ScanNCut™, Cricut Explore™, GCC™, KNK™, Pazzles Inspiration/Vue™, Silhouette SD/CAMEO/Portrait/Curio™, Silver Bullet™, USCutter™, VinylExpress™ & more! Make money with our Affiliate Program. Become our partner and earn up to 50% commission per sale! It's FREE to join. 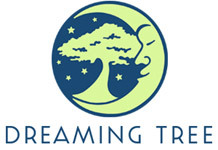 Dreaming Tree (3DSVG.com) specializes in off-the-page paper crafts, including cards, luminaries, boxes, home decor and much more.